Much of the existing literature on women in science in India tends to highlight the ‘absence’ of women, while that is no longer the case. Based on an extensive review of the available evidence, the paper reflects that the number of women in science has been steadily growing, though with significant variations across disciplines. It is a popular perception in the minds of both educated laymen and distinguished academicians that the quality of higher education in our country is on a declining course since Independence. The 'quality' that everybody is referring to is not defined precisely. The global rankings published by a couple of international agencies in which no Indian university figures anywhere in the top hundred, added to the confusion. The opening statement also implies that Indian institutions of higher education (HEI) were better off before we attained political independence compared to the post-independent period, particularly in the sphere of science education and training. There was never any confusion about the University-Society interaction dynamics. Socio-economic-cultural milieu kept changing in the last one hundred years and accordingly what kept changing was the public understanding and expectation of what a University is and what it should be. The Government of India appointed many commissions and committees to assess the Indian education system from primary through secondary and tertiary stages to suggest appropriate reforms. Voluminous reports were also submitted and new organizations like University Grants Commission (UGC), National Assessment and Accreditation Council (NAAC), etc., were also floated to put into action some of the well-meaning suggestions. The growth of institutions of higher learning in terms of numbers, funding, administrative framework, infrastructure, etc., did not stop in the same period. Why then this common perception? We need a comprehensive study, and an analysis of the educational system to diagnose the problem. We also need tangible plans of action and clear recommendations on how to restore quality. Lokāyata is considered Debiprasad Chattopadhyaya’s magnum opus, a pioneering exploration of the history of materialist thought in ancient India. This work not only established his reputation but subsequently provided a rationale for the need to re-position the schools of Indian philosophical thought in terms of their internal diversity, the range of philosophical problems addressed and the ‘family resemblances’ between the schools. This is not intended to be a book review. Instead, it is a comment apropos of the June 2018 publication of a study report titled 'Sexual Harassment of Women: Climate, Culture, and Consequences in Academic Sciences, Engineering, and Medicine' released by the National Academies Press, USA (2018). Soon, some so-called 'elite' science journals took note of the report and gave it a good amount of publicity. On June 27th, 2018, the Government of India formally declared its intention to replace the University Grants Commission (UGC) Act of 1956 by the Higher Education Commission of India (HECI) Act. The Science Academies offer their point of view. The socio-political influence on conservation science has always been contested. One such arena, which has aroused much interest, is of biological invasions. Owing to the inherent paradoxes and dilemmas in defining geographies and impacts, invasion ecology was criticized for being value-driven. Breaking the Silo is a novel and engaging look at three very pertinent themes in the present time: (i) the persisting divide between Science and Humanities disciplines in Indian institutions of higher education, (ii) the existing contexts and future possibilities for integrating what appears to be 'two cultures' and (iii) bridging the perceived gap between the natural and human sciences. I describe the development of nuclear energy in India, its current status and its future prospects vis-à-vis the global trends in the nuclear industry that are also summarized. A short discussion on carbon emissions and global warming is provided to assess the contribution that nuclear energy can make in mitigating the issue of climate change. Now that the Government of India has decided to set up the Higher Education Commission of India (HECI), it is time to look at the challenges ahead. The University Grants Commission (UGC) will cease to exist. All India Council of Technical Education (AICTE) and the National Council for Teacher Education (NCTE) will continue to function. National Assessment and Accreditation Council (NAAC) will continue too. In the 21st century, as the global scientific pursuits provide an enormous amount of new revelations about the natural world, the gap between lay public and the scientific community widens more than ever. On the other hand, scientific endeavours all around the world increasingly depend on popular support for such efforts, as the policy decisions are largely driven by popular perceptions. This is an interesting book dealing with the Sociology of Science. The origin of experimental science in the modern sense can be traced to the 15th century Renaissance period. Of course, scientific inquiry was being conducted in many civilizations much before the European Renaissance. The first Industry Conclave organized jointly by the CSIR-CDRI and the National Research Development Corporation (NRDC) was held on 15–16 September 2017. This document summarizes the learnings from the formal panel discussions conducted during the meeting, as well as interactions among the delegates during the exhibition that showcased the CDRI product pipeline, services offered and proposals for collaborative R&D. I woke up on 11th December 2017 with the news that Lalji or Dr. Lalji Singh (famously known as the Father of DNA Fingerprinting in India) died of a massive heart attack on the previous evening (10th December). The motivation for this interview is the talk you gave in Young Ecologists Talk and Interact (YETI) conference in 2009, which was in the form of advice to young ecologists on how, you think, science should be done. Publication of scientific journals has been a major activity of the Academy since its formation in 1934 and the Proceedings of the Indian Academy of Sciences Parts A and B began publication that very year. The Academy today publishes 10 journals, several of which grew out of the original Proceedings. In 1978, the Proceedings split into several themes and today these are (in the intervening years, there have been some changes in the earlier names) Proceedings – Mathematical Sciences, Sadhana – Academy Proceedings in Engineering Sciences, Journal of Chemical Sciences, Journal of Earth System Science, and Journal of Biosciences. The Indian Academy of Sciences, Bengaluru, has felt that it is essential to have an open-ended and sustained dialogue amongst science practitioners, science policy makers, science administrators and educators, and the general public. This is the broad intention behind the initiation of DIALOGUE: Science, Scientists, and Society.. It is hoped that the journal will provide a formal forum to promote and facilitate ongoing discussion on issues pertaining to the practice, teaching, management and communication of in addition to other outreach initiatives (see CONFLUENCE. 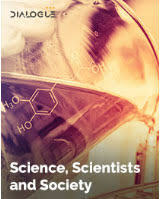 ), science as well as all aspects of the science-society interface. DIALOGUE extends the conversation through CONFLUENCE., a moderated public forum, and other outreach initiatives. The hope is that this will give rise to a more inclusive and acceptable vision of the inter-relationship between science, society, polity, and culture. DIALOGUE: Science, Scientists, and Society., published by the Indian Academy of Sciences, Bengaluru, provides a scholarly forum for scientists and other interested parties to discuss and debate issues pertaining to science and society, in the broadest sense. The journal covers three related but distinct themes: (a) the practice of science, including choice of problem, publication, evaluation, funding and other matters; (b) communication of science by its practitioners to students, politicians, administrators, other interested parties, and the general public; and (c) the impact of science on society, and vice versa. These themes are envisaged to cover, for example, introspection on practices in science and academia, education and the communication of science, gender and allied issues in science, science as a social system, culture of science, future directions and implications, goals of science, science-social science interfaces (conversations across disciplines and knowledge systems), indigenous and local knowledge systems and science, imaginations driven by science, connections with other countries, global contributions, funding, organisation of science, administration and management of science, evaluation, critical studies of science and society, science policy studies and more. The journal is also a place for discussion on planning scientific policy, as well as issues pertaining to science education and policy towards education. The journal aims to foster discussion and dialogue by publishing papers addressing any aspect of science practice, science teaching, science administration, science policy and the science-society interface. It will also serve as a place to put on record archival documents from the past, as well as those that may be produced in the future, in which the Academy or other such bodies put down in writing the results of their deliberations on issues of relevance to scientists and society. The journal is accompanied by a more informal but moderated web platform, CONFLUENCE. that aims to provide a forum for all interested parties to share and debate views and interact on these crucial issues. DIALOGUE: Science, Scientists, and Society considers articles on all issues pertaining to science practice, science policy, science education, science administration, science communication, and the science-society interface. Contributions must be scholarly in nature and balanced in their outlook. Polemic is not encouraged. Author(s) are responsible for the views expressed in published articles, and publication of an article does not imply an endorsement of the views or opinions therein by the Indian Academy of Sciences. All contributions, including invited submissions, undergo editorial and peer review. The journal is online only: there is no print edition and no restriction on use of colour illustrations. Supporting multimedia material is permitted. PDF and HTML files of all published articles are downloadable free of charge from the journal website. All articles must be in English, with British spelling. DIALOGUE: Science, Scientists, and Society will consider full-length articles, short notes, and commentaries. Review articles, annotated bibliography pieces, and book, website or software reviews will typically be solicited. Prospective authors of such contributions are encouraged to contact the editors with a brief proposal prior to submission. There are word limits for all categories. Article: The regular full-length article (maximum 10,000 words, main text), reporting results of original research or surveys, or an essay pertaining to science and social issues that includes data components, with an abstract of about 250 words. Short note: A brief article (maximum 2500 words, main text; no abstract; up to four figures, tables, or other display items (e.g. videos); up to 20 references) on an interesting issue but not as fully developed as a full-length article. The first paragraph should be in the form of a summary of the note in about 150 words. Commentary: A brief summary (maximum 3000 words, main text; up to two display items; up to 20 references) of recently published article(s) in other journals on a common theme of general interest, placing the work discussed in a broader context; no abstract. Correspondence: A brief comment/critique on an article recently published in DIALOGUE: Science, Scientists, and Society (maximum 2500 words, main text; up to three display items; up to 20 references); no abstract. Authors of the original paper will be invited to submit a response. Perspectives: A general article looking at some major issue in science research or education, technological applications of science, or the history of science and its impact on society; no word / reference / display item limit; should include abstract of less than 300 words. Book/software/website review: No word limit; no abstract. Submitted manuscripts must not have been published previously nor be under consideration for publication elsewhere. Moreover, submission to DIALOGUE: Science, Scientists, and Society will be deemed to imply that the manuscript will not be submitted elsewhere if accepted, or while it is under editorial consideration at DIALOGUE. The decision of the Chief Editor is final in the matter of acceptability for publication. Submissions can be uploaded here with a covering letter, named as such. Authors whose submissions do not conform to the guidelines given in this section for file formats, and in the sections below, will experience delays in processing. Zip files are not accepted. Each component in the manuscript should be named appropriately. The covering letter, for example, should be named as Covering Letter, the manuscript as Manuscript, the figures as Fig. 1, Fig. 2, etc., and videos as Video 1, Video 2, etc. Each file uploaded should have the appropriate file extension such as - txt, tex, odt, docx, xlsx, pdf, mov. Plain text, LaTeX, ODT and DOCX files, along with a reference PDF, are acceptable. Colour and greyscale illustrations: in one of 3 file formats – png, jpg, or bmp, preferably at a resolution of between 150 and 300 ppi. Scale independent graphics can be submitted in svg format. Note that Microsoft Word and Microsoft PowerPoint files, which are frequently submitted for illustrations, are not acceptable. All lettering in illustrations should be in sans-serif font, preferably Helvetica or Arial, and as close to 8 point size as possible at final print size; hairlines should not be used; minimum line thickness should be 0.5 point. Authors should submit written permission from appropriate sources for material to be included in their articles that has been published elsewhere. The title should preferably be brief, comprehensible to a non-specialist reader, unique and contain words useful for indexing. Serial titles should be avoided. A short running title (of not more than 55 characters including spaces) suitable for page headers, and up to six keywords not in the title should be provided. Full names and affiliations of all authors, and complete postal and email addresses are required. An abstract is required only for some categories of manuscript. The abstract should convey the essence of the contribution even to a non-specialist reader. For a full article, the abstract should include a few sentences of background to the work, the rationale, and the main results and conclusions. Abbreviations are discouraged. Abstracts should not include citations to references. In the case of a full-length data based article, it should be divided into sections with first-level headings such as Introduction, Materials and Methods, Results and Discussion (stand alone, boldface). Articles can also have other appropriately descriptive section headings. There may be subsections with short, descriptive headings. Major subsections within sections may be placed under second-level headings (flush left, in italics and boldface, free-standing); these may contain further subsections under third-level headings (flush left, in italics and boldface, and text runs on after a colon). Sections and subsections are not numbered. Footnotes are not allowed. Where appropriate, first person and active voice are preferred. Perspectives should also follow the pattern of descriptive headings.. The text should be line numbered as “continuous” beginning from the first line of the tile to the last line of the article. Authors should follow internationally accepted conventions with regard to units, symbols and abbreviations. Only SI units of measurement and standard abbreviations should be used. Guidelines on use and presentation of statistics have been published by Proceedings of the Royal Society of London, Series B: Biological Sciences, and are usually printed in the last issue of every volume of that journal. Authors are encouraged to consult those guidelines. All tables should be numbered serially, in Arabic numerals, in order of appearance. Tables should be as self-contained as possible, with a descriptive but brief title. Details not mentioned in text and explanations may be given below the table as footnotes. Row and column headings should be in lower case, except for the first letter of heading word or phrase, first letter of proper names, or where capitals are essential. A table should not be submitted as an image. All figures should be numbered, serially in Arabic numerals in order of appearance. Parts of multipart figures, where these are absolutely necessary, should be labelled (a), (b), (c), etc. (lower case). Multipart figures should be submitted as a composite, along with the individual images and labels that form the composite. Authors should take responsibility for neat and correct arrangement of multipart figures. Figure legends should not be included in figure files but should be included in the file of the text. Line drawings should be sharp, and include all lettering that is necessary. Lettering should be in lower case, except for the first letter of label word or phrase, first letter of a proper name, or where capitals are essential. The font should be sans serif (preferably Helvetica or Arial), and letters at final print size should be as close to 8 or 9 point type as possible. All symbol, nomenclature, and other conventions apply to figure lettering. Individual parts in multipart groupings should be as close to each other as possible, with the parts labelled. Photographs should be sharp and high-contrast, and any labelling (such as arrows or letter symbols) should be clear. Videos should be encoded in the h.264 or vp8 codecs for maximum compatibility with contemporary platforms. Flash and other proprietary formats are not accepted. Video files should be at a maximum of 720p and the file size should not exceed 20 Mb. However, you may upload a larger file to your private YouTube or Vimeo Channel and include the hyperlink and the embed code as part of the submission. Citations in the text should be by name and year, not number, in chronological order and then alphabetically for the same year, and enclosed in parentheses. When there are two authors, the citation should include both names (e.g. Guo and Thompson 1992). When there are three or more authors, the citation should have only the first author and ‘et al.’ (e.g. Calafell et al. 1996). Two or more citations are separated by a semicolon. References should be listed at the end in alphabetical order by first author's surname. When several references have the same author or first author, single-author works are listed first chronologically, then two-author works in alphabetical order of second author and then chronologically, and multiauthor works third but chronologically. Letter labels should be used (e.g. 1997a, 1997b) in case of works with the same author/authors and of the same year. When there are many more than six authors, it is preferable to name only the first six and use ‘et al.’. Unpublished observations and personal communications should not be included in the list of references, but should be cited within parentheses in the appropriate place in the text with the full names of the sources. The list of references may include papers accepted but not yet published; such references should include the journal name and ‘in press’ in parentheses at the end. Information from material submitted for publication but not yet accepted should be cited only in the text as ‘unpublished observations’ with full names; these should not be included in the list of references. Abstracts should not be used as references. Journal name abbreviations and book titles are in italics, volume number is in bold. There should be a space between initials in author names. Sambrook J., Fritsch E. F. and Maniatis T. 1989 Molecular cloning: a laboratory manual, 2nd edition. Cold Spring Harbor Laboratory Press, Cold Spring Harbor, New York, USA. Via S. 1994 The evolution of phenotypic plasticity: what do we really know? In Ecological genetics (ed. L. A. Real), pp. 35–57. Princeton University Press, Princeton, USA. Authors are requested to prepare their manuscript carefully and in accordance with these instructions to avoid delays and to minimise corrections and alterations in copyediting. Proofs will be presented in editable form via an online platform, along with instructions. The copyright to all published material remains with the authors, and is licensed for reproduction under the Creative Commons – CC BY_NC 4.0 license. Mewa Singh and Amitabh Joshi, on behalf of Dialogue and the Indian Academy of Science, participated in the Teachers' Festival at Mysore held on January 29-30, 2018. Prof. Joshi delivered the inaugural talk and Prof. Singh participated in the discussions over two days. The editors of all the journals of the Indian Academy of Sciences take a very serious view of any evidence of plagiarism including self-plagiarism in manuscripts submitted to them. Every reasonable effort will be made to investigate any allegations of plagiarism brought to their attention, as well as instances that come up during the peer review process. Such behaviour when proven beyond doubt is unacceptable, and will be suitably exposed. Self-plagiarism will be treated just as seriously. claimed new results express the author’s own findings, and all material taken from the existing literature has been properly acknowledged and referenced. Upon receipt of a manuscript by any of the Academy journals, the authors or corresponding author will be required to sign an undertaking to the effect that the work has not been submitted elsewhere for publication, the claimed new results express the author’s own findings, and all material taken from the existing literature has been properly acknowledged and referenced.